This was definitely inspired by the works of Ben Mauro and Aaron Beck. I've always envied how they made their art so believable, as if their creations were top-secret government projects locked deep underground somewhere. I also took a quick look at how Daarken paints his fur, finally giving me the courage to use Pen Pressure for my Opacity Jitter setting. I have to say that playing with some Lego Technics lately gave me a slightly better understanding of the construction of things. 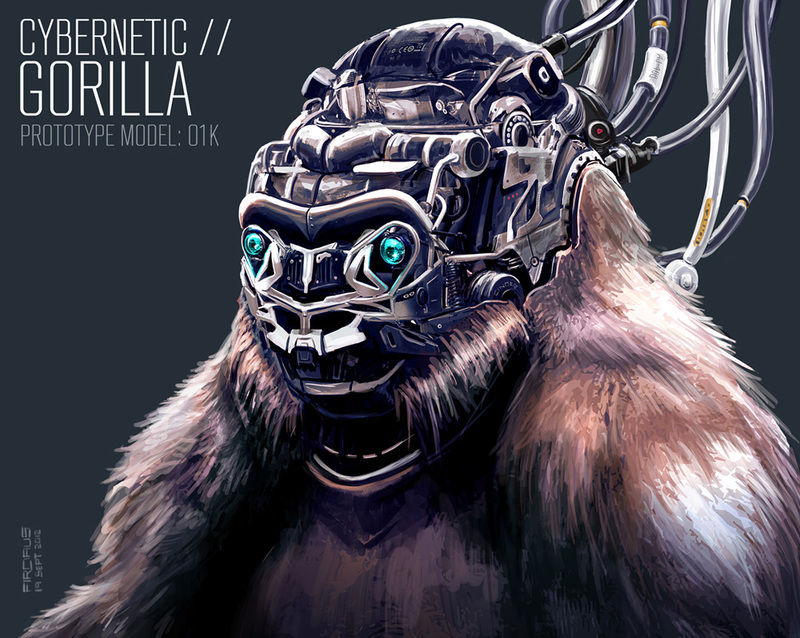 Oh, and I love drawing gorillas.